Special corrugated shipping material has a dual adhesive, utilizing Cold Seal Technology, that sticks only to itself, not to its contents. Ridged corrugation keeps contents from shifting inside. This cold seal cohesive single face is best for non-fragile items. Cohesive single face is an ideal packaging material where cushioning and rigidity are the main benefits in protecting an item against damage and dirt. Cut the sheet size you need. Now press the custom cut self-sealing corrugated sides together, and the finished carton is ready to ship.This unique product provides a secure cohesive seal for your item’s protection. 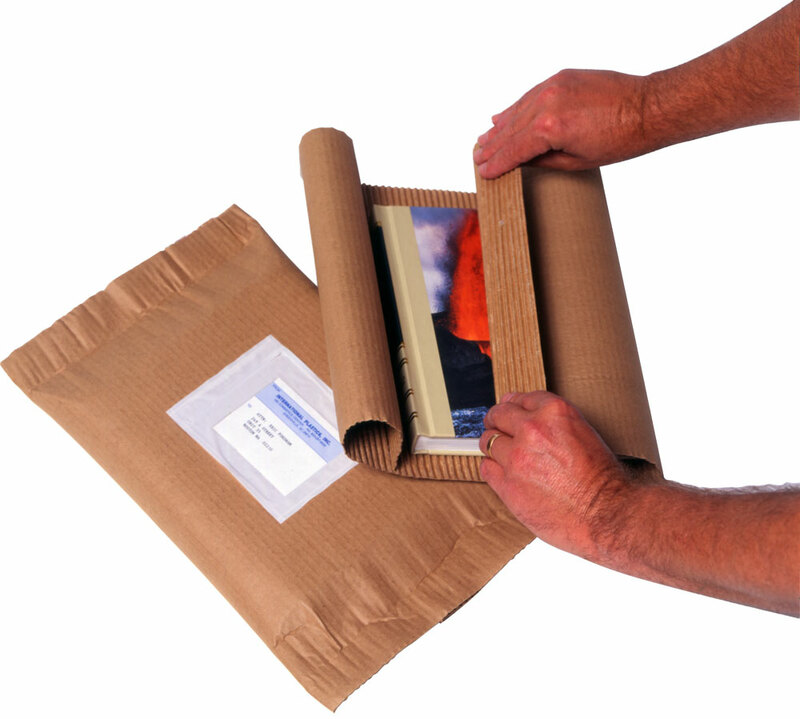 Cohesive single face is an excellent material for the packaging of books, literature, CD's, DVD's or anything else requiring cushioning and protection. Post Office and U.P.S. approved. Looking for plastic bags for mailing books? Try our Plastic Mail Bags.